Fido needs a good bedroom too! Here are 10 shockingly easy DIY dog houses to keep that tail waggin’! Our friend Watson below says it doesn’t take a Sherlock to see that any large dog would love to have their own dog gazebo. It’ll require some time for assembly, but nothing is too complicated and you’ll have your “dogzebo” before you know it. Get more details from The House of Wood. With a food station and storage box, this outdoor hutch is more like a doggie hotel. I don’t think Fido will be checking out any time soon. More details here. 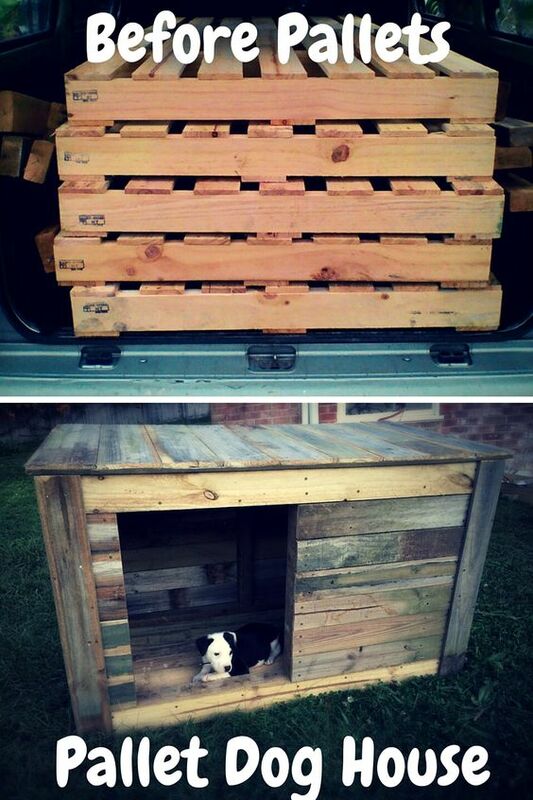 Make this sturdy dog fort using basic wood pallets. I like how it provides all around protection from bad weather. No cracks or holes to let water and wind in. DIY found here. Sometimes the classics are still the best way to go. I’d say that’s the case with this classic but cute Snoopy-styled dog house. Don’t be surprised if you start noticing pilot caps, typewriters, and little yellow birds hanging around 😉 . DIY instructions found at Remove and Replace. 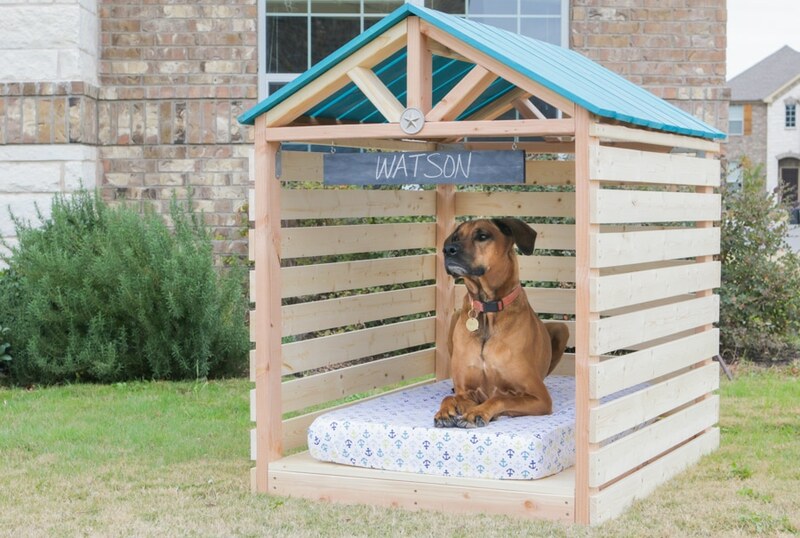 This great dog house includes a well-lit porch to keep fido out of the dark. The roof also hinges open for easy access to food bowls and and bedding. Instructions and video tutorial found at Modern Builds. 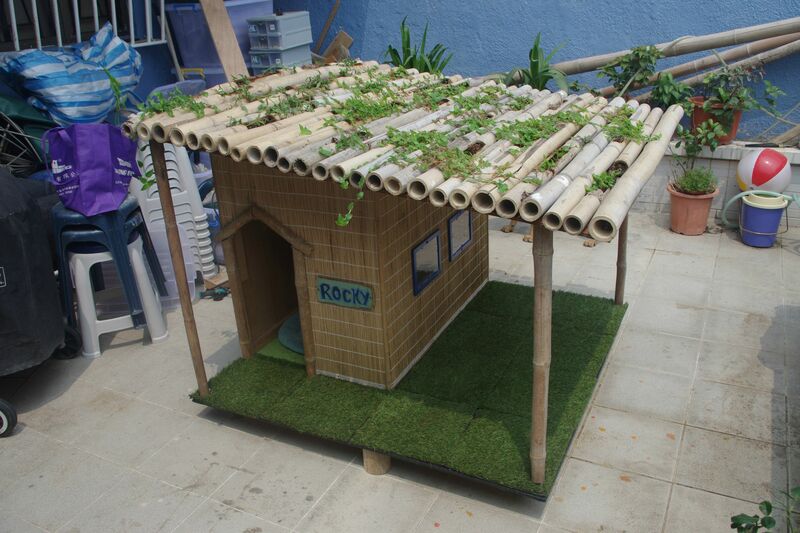 How fun is this tropical getaway dog house? Pretty soon Fido will be asking for mai tais and pineapple! DIY found here. 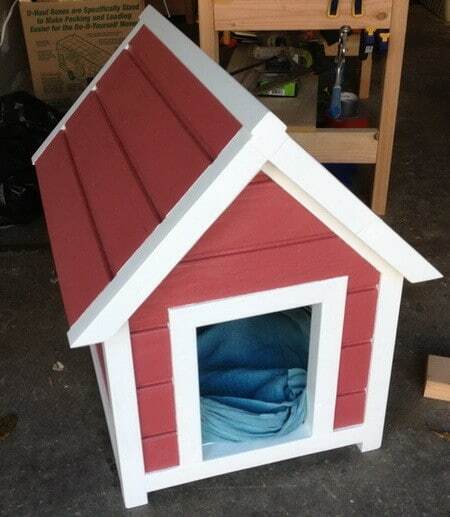 This great little dog house is perfect for those needing to move Fido’s house often. The wheels on the back make transportation as easy as one, two, bark. Instructables.com gives the DIY here. 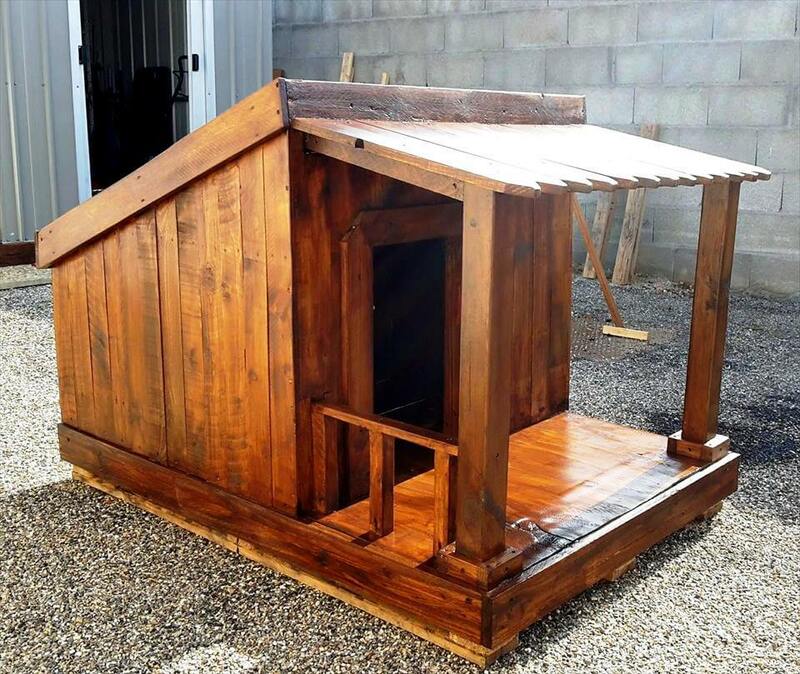 This is probably my favorite DIY dog house! Not too complicated, perfect size, and style. The siding is my favorite part. Ana White gives the full DIY tutorial here. This pagoda style dog house is fun if you’re looking for something a little less conventional. Shih Tzus and Lhasa Apsos would be right at home in this fancy home! DIY Network shares more info here. Here’s another surprisingly simple pallet project but with some Western flair. The porch is perfect for providing some extra cover and shade. DIY Craftsy has more details here.